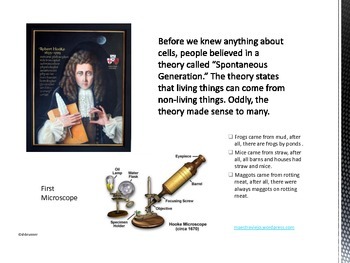 This Power Point presentation is an effective tool for teaching cell structure and function all in the cross- curricular historical context of Robert Hooke’s first microscope and the later Cell Theory. 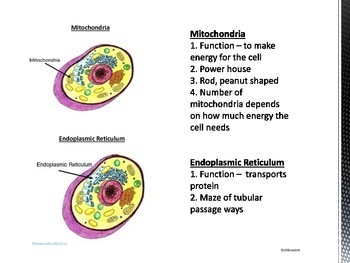 Over 20 diagrams and photographs promote visual literacy and provide the perspective students need to fully comprehend how these tiny organelles work. 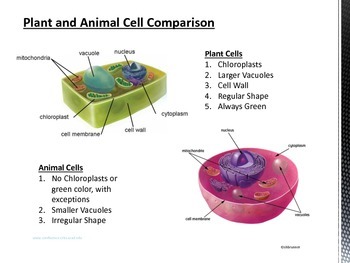 The presentation ends with a comparison between plant and animal cells and a vocabulary list. 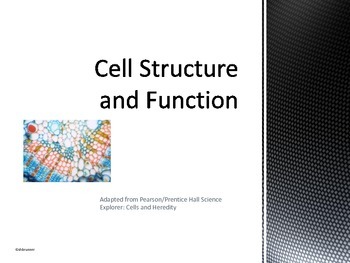 For the new or experienced educator, this teacher Power Point presentation is complete with everything you need to know and teach about cell history, structure and functions. It is easy to follow with or without a text.